Lock in a great price for Railway Inn – rated 8.5 by recent guests! Very friendly staff. Ate here one night and the food was excellent. The breakfast was also excellent with lots of choice where you can have cereal and also select a cooked breakfast by using a tick-list to select the items you want. I watched football on Sky-Go on my mobile in the room and it streamed brilliantly - so i have no complaints about the Wi-Fi! The room was clean and comfortable. The hotel is next to the railway, but this was not a problem with the train noise for us. The parking was free. We chose this hotel as we wanted to visit Oxford and Blenheim Palace. We used Redbridge Park and Ride for Oxford, which is easy to get to from the hotel (it's a 15-17 minute drive). For £6.80 for the day we could park our car and the 3 of us had our return bus journey to Oxford. We stayed as we were picking up our daughter from Oxford Uni. We didn't have a meal there as we eat in town. However their breakfast was cooked lovely and they have a coffee machine in your room. it is suitable for dog people but also for a small family as their chairs turn into beds. 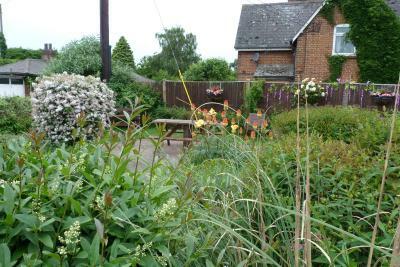 The hotel is 10 fairy steps to the local train station and although it is not manned , you are 2 stops from Oxford Town Centre £5.00 one way . 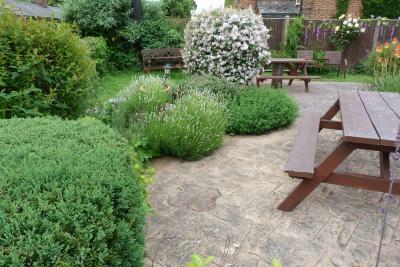 Parking your car at the Railway Inn is great and loads of room, as Oxford is park and ride. I would use them again. The hotel staff were very friendly and very helpful, especially as we had a problem with our car. The meal we had in the restaurant was delicious. Very comfortable pillows. 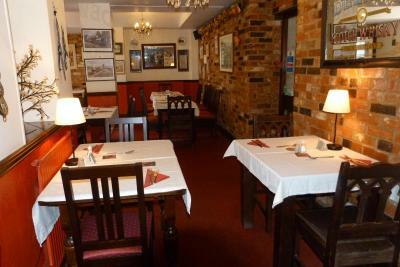 All of the staff were friendly and helpful. The coffee pod machine in the room was a nice touch and could be used at no extra cost. 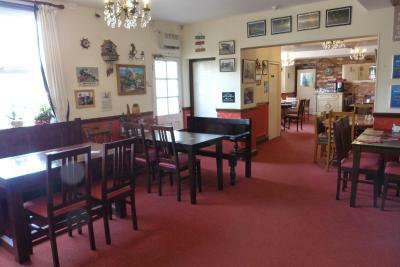 Great location if you are a train spotter - the Inn has good information on the nearby railway. Room was comfortable,The bar friendly, coffee and hot chocolate machine in room excellent, breakfast very good. Train ambiance. County tradition. Liked the trains going past. Willing if rural staff. Sense of history. Close to the railway. Good food. Nice staff. Easy to park the car. 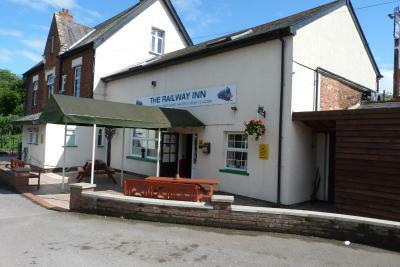 Railway Inn This rating is a reflection of how the property compares to the industry standard when it comes to price, facilities and services available. It's based on a self-evaluation by the property. Use this rating to help choose your stay! 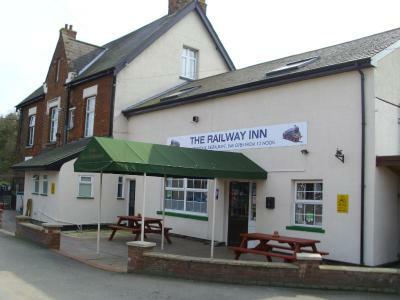 The Railway Inn is a traditional pub and restaurant offering delicious home-cooked food and bed and breakfast accommodations. 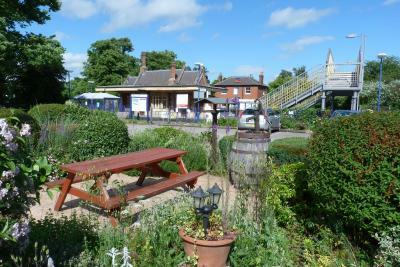 Wi-Fi and parking are free, and the adjacent Culham Rail Station offers excellent access to central London. All of the rooms with attached bathroom have a TV and comfortable beds. 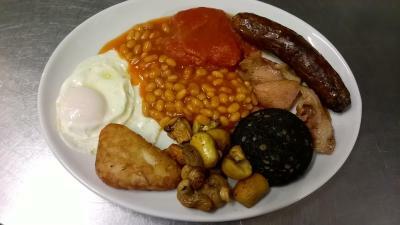 An inclusive full English breakfast is available. 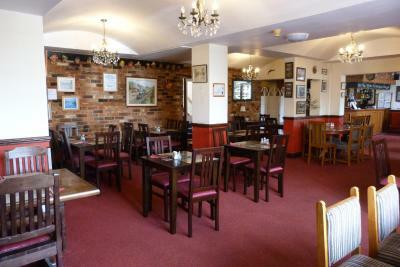 The stylish restaurant at the Railway Inn serves traditional English food in a cozy setting and the bar has real ales. 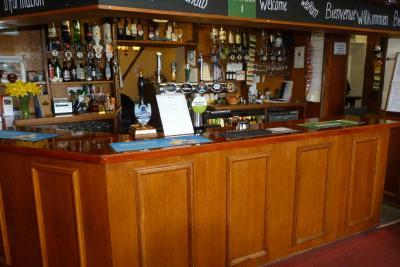 This traditional pub offers occasional live music. 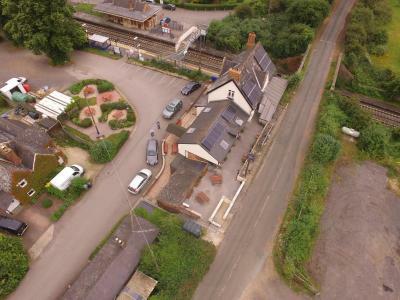 When would you like to stay at Railway Inn? 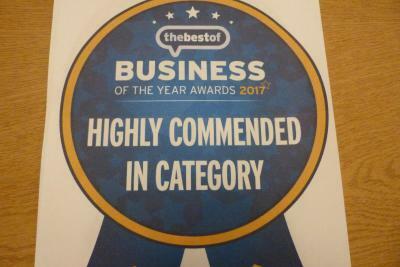 There is a 4'6" bed, wardrobe, dressing table and flat-screen TV in this room, along with tea and coffee-making facilities and an en-suite shower room. 1 of 4 rooms located across a terrace are adjoined to the main building. 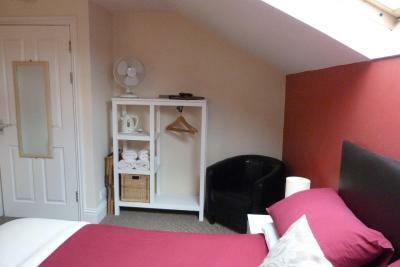 This room has 2 3-foot beds, wardrobe, dressing table, chair, flat-screen TV, and facilities for making tea and coffee. There is also a bathroom with a shower. 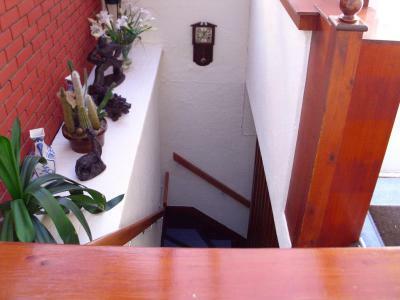 The room is located up 2 flights of stairs. 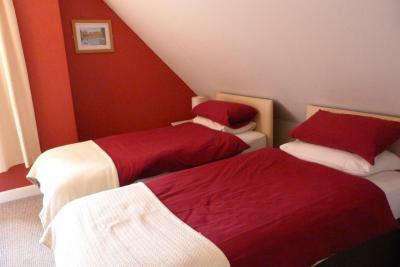 This room has a double and single bed, but can be set up as 3 singles. 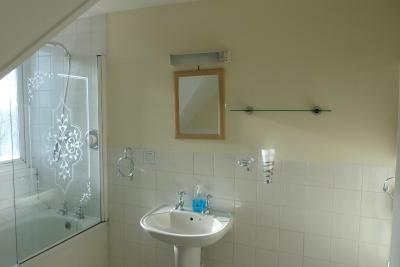 All rooms have a wardrobe, dressing table, bedside cabinets, flat-screen TV and tea and coffee-making facilities. 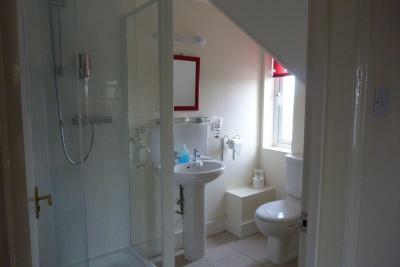 There is also a bathroom with a bath and a shower over the bath. 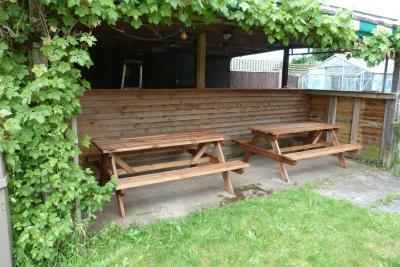 It is bookable for 2 adults and 2 children under 16. Please inform the property if any of the guests are children, so the rooms can be set accordingly. The room is on the top floor of the building, up 2 flights of stairs. It is the closest to the adjacent rail station. This room with attached bathroom features its own entrance and a separate living room. House Rules Railway Inn takes special requests – add in the next step! One child under 16 years is charged GBP 15 per night when using existing beds. 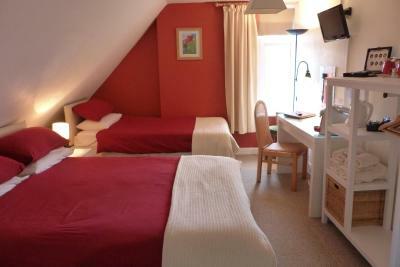 All children under 16 years are charged GBP 15 per night for extra beds. Railway Inn accepts these cards and reserves the right to temporarily hold an amount prior to arrival. If a continental breakfast is required, please specify when booking. Kindly note that works may be carried out on the adjacent rail line on some Saturday nights. Extra beds can only be accommodated in the family rooms and deluxe rooms. Please inform the property if any of the guests are children, so the rooms can be set accordingly. Kindly note the guest is liable for any damages made to the property by themselves during their stay, and will be charged for damages if necessary. Please note, from 22/07/2017 until 30/07/2017, trains will not be running and replacement buses will be available. The WiFi in my room on the top floor was rather slow. For the price - today - nothing really. there is nothing i did not like. Very small chamber, WiFi in the room was poor. Steep stairs to room 3 but not so bad really. Great English break, which is served nice and early, which was a real bonus for me. Plenty of parking. Wifi was quite slow, couldn't all be on it at once in our room. Rooms, were brilliant. Breakfast portions were a little small for the start of a busy working day. 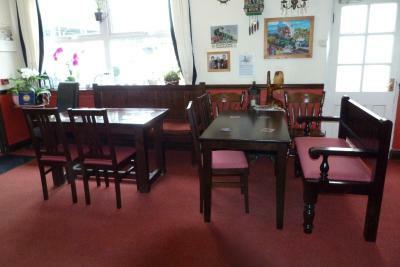 Very clean, staff were more than helpful. 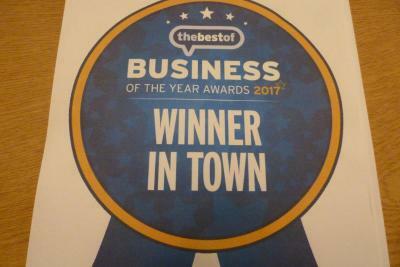 Really enjoyed our stay, thank you. Very noisy. A lot of trains are running at few meters of building. The breakfast was good and the location was clean. The reserve of coffee from the room was refreshed daily. The bed was too small and the room quite small. Quite a high price for what we got, though the staff were delightful. 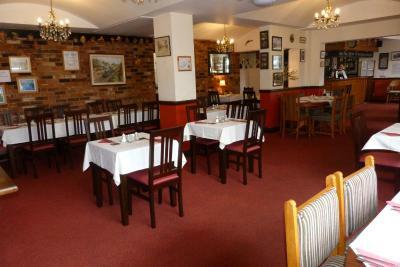 The staff were excellent and so was the breakfast. The room was quiet and the coffee machine was a lovely touch. Unfortunately, the trains kept our employees awake and they have requested we do not book them in here again.